In the summer of 2014, Abess Makki (Nutrition and Food Science ’15) walked into the DTX Launch Detroit student tech accelerator at TechTown Detroit with an idea to develop a shower head that monitors water usage, hoping to help consumers conserve water and save money. But by the time the 10-week program ended, he decided to make a more monumental difference. Throughout that summer, the City of Detroit had been shutting off water to customers who had not paid their bills. The city received significant negative publicity and more than 20,000 Detroit residents — almost all of whom were low income — lost access to water. Makki realized the technology he was developing could help address this problem. Within the year, he had a contract with the Detroit Water and Sewerage Department (DWSD) to develop a mobile platform to make paying water bills easier and enable residents to track their water usage, helping them save money and avoid shutoffs. It was his parents’ experiences that spurred his interest in water issues, a focus of his since graduating from Dearborn Fordson High School and entering Wayne State with support from the TRIO program for underserved and first-generation students. Soon after he arrived at the university, he started the National Student Water Association with some high school friends. The group aimed to address the global water crisis, with chapters at schools across the country, including University of Michigan, Michigan State, Harvard, and Yale. In 2013, the Wayne State chapter of NWSA traveled to El Retiro, Honduras, to build a water piping system. “My parents are from West Africa. Access to water has always been a prevalent problem. When I realized the lack of awareness, I figured this was something I could contribute to and have an impact on right away,” Makki explains. He drew on multiple Wayne State resources as he moved forward. He reached out to Silas Norman, M.D. ’76, the late dean of admissions, diversity and inclusion in the School of Medicine, who was renowned for his commitment to social causes. Dr. Norman served as a mentor to Makki throughout his time at Wayne State. For help incorporating the group as a nonprofit organization, Makki found Brandon Dalziel, J.D. ’05, an attorney at Detroit’s Bodman law firm who offered his services pro bono. 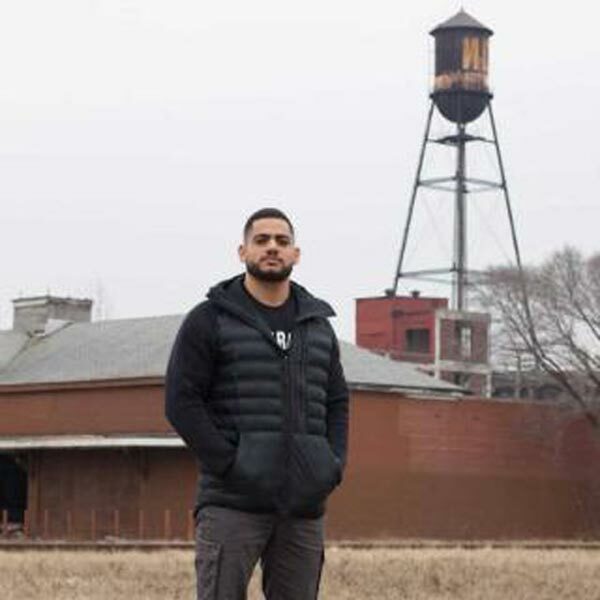 During his senior year, Makki learned about the Launch Detroit program at TechTown, the nonprofit business incubator and accelerator founded by the university. Despite his earlier misgivings about entrepreneurship, he decided to pitch a business that melded his interest in water issues and his burgeoning interest in technology. “I always thought it was so far-fetched to be able to create something,” Makki says. “Then I saw the opportunity for DTX, and I put together a presentation.” He was accepted for his shower head idea then, as many entrepreneurs do, he pivoted to work on a tech-based solution to the water shutoff problem. His company, CityInsight, has a mission to provide real-time technology that helps municipal governments streamline their operations and improve communication with their customers. “I became more skilled in pitching and vocalizing my ideas. I think it gave me, more than anything, confidence,” he says of Launch Detroit. Drawing on that confidence, Makki decided to continue with the company after graduating from the program, even though his two business partners moved on to other opportunities. He reached out to DWSD and ultimately connected with the department’s information technology director and WSU alumnus Dan Rainey ’89, who has become another mentor. After several meetings and presentations, Makki secured a contract to develop an online and mobile interface that would let residents track water usage in real time, pay utility bills and receive mobile customer service. “It was really more about why I was passionate about solving the issue rather than just being able to do it, and I think they found value in that,” Makki says of his initial meetings with the city. DWSD’s Customer Care Web Portal, using CityInsight’s technology, launched this past August. Another advantage? He met his new Chief Operating Officer Nathan Christie ’16, yet another Wayne State alum, through the program. “I think there’s a thing about kids from Southeast Michigan; we attract one another,” Makki says. A third team member will be joining the company soon. The original version of this story appeared in the fall 2017 issue of Wayne State magazine.